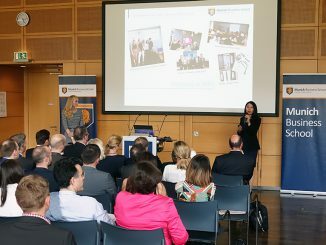 At its official Semester Opening, Munich Business School (MBS) welcomed more than 250 new students from over 60 nations. 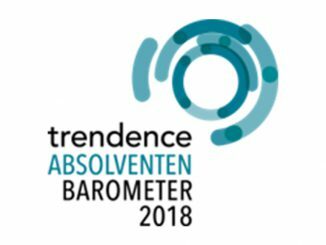 With this high number, the university confirmed its record results from the previous year. 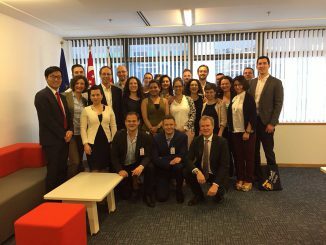 The new students will start the programs Bachelor International Business, Master International Business, Master Sports Business and Communication, as well as the two MBA study programs International Management and General Management+. Additionally, MBS will host international guest students who will spend their semester abroad at MBS. 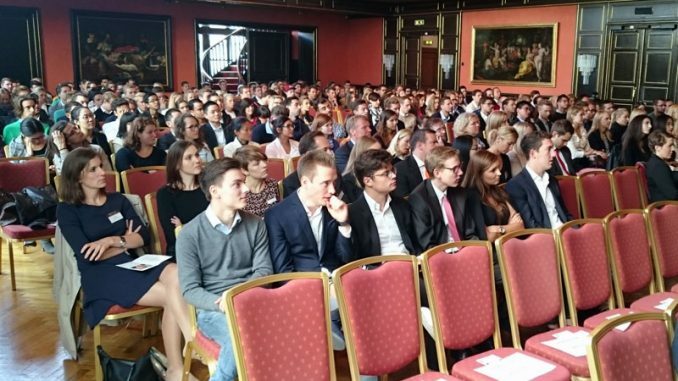 As tradition has it, Munich Business School welcomes its new students with an official Semester Opening at Munich’s Künstlerhaus. So on Tuesday, September 8, the university entrants gathered at the location’s ballroom to inaugurate the new semester together. MBS Dean Prof. Dr. Stefan Baldi welcomed the students in a festive atmosphere. In his speech, he addressed the students’ diversity, which makes MBS a meeting point for various cultures and nationalities. 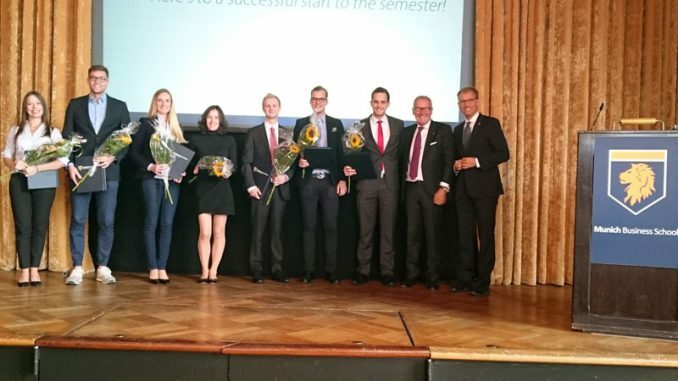 Dr. Rudolf Gröger, President of MBS, also expressed his joy to meet the new first-semester students. He spoke about the unique features of the MBS training and specifically addressed its students’ personality development, which plays an important role at MBS. This welcome was followed by the eagerly awaited keynote speech by Prof. Dr. Herbert Henzler. 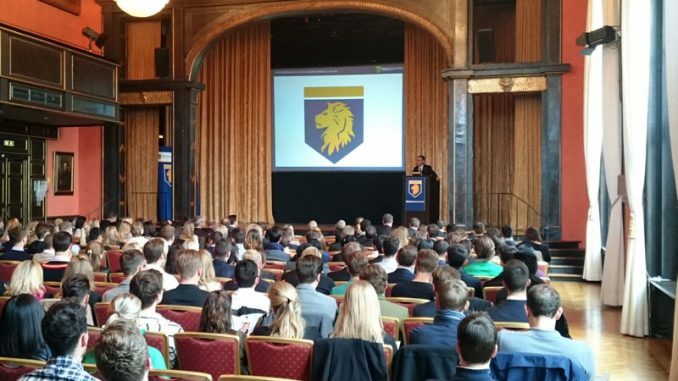 MBS had been able to win the “consulting legend” – as Dr. Gröger put it – as a keynote speaker for the event. The top consultant and former European chairman of McKinsey spoke about the “Challenges of Tomorrow‘s Business World” and gave the new students significant instructions regarding their career as future leaders in the business world. 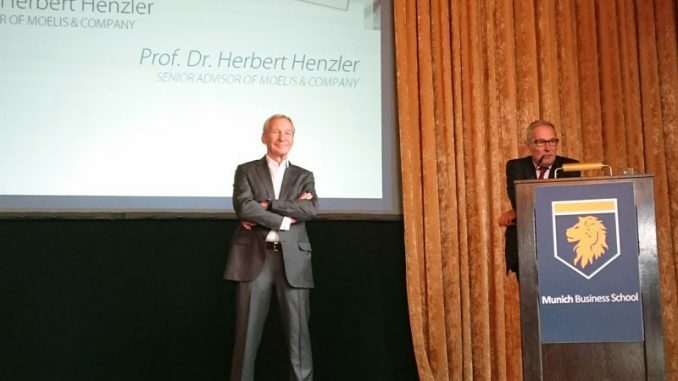 After his highly interesting speech, Prof. Dr. Henzler answered the questions of the freshmen – who were noticeably impressed by the keynote of the experienced manager – in an interactive exchange. Subsequently, MBS Alumni Relations Manager Layla Eberle presented MBS Connect, the MBS networking platform, and the MBS students’ speakers as well as the various students’ associations presented themselves and their work. Solemnly closing the event, MBS Dean Prof. Dr. Baldi and President Dr. Gröger asked the winners of the MBS awards to enter the stage and receive their prizes which are awarded to students who during their studies distinguished themselves by extraordinary efforts, for example within a students’ association or as an “ambassador”” of MBS. As a premiere, MBS conferred the MBS Academic Award for outstanding academic results. To a successful semester start!